Riccione is definitely one of the popular locations for the beach holiday as sun and fun. In its elegant streets, which Viale Dante and Viale Ceccarini, you will find the best shops and the most prestigious names in the fashion industry. All bars and clubs are very trendy and you can meet young people from every part of Italy. In “The Adriatic’s Green Pearl“, precisely at the Swimming Stadium and at the Sports Hall Playhall, are played numerous national and international sporting events. 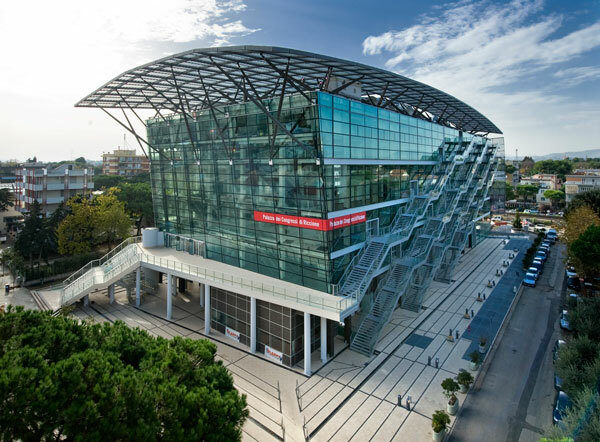 The modern and prestigious Palace of Congress in Riccione hosts each years many conferences, music events and congress of great importance. Inside the building there is also the Multiplex Cinepalace Riccione with 6 comfortable cinemas. Riccione’s thermal baths (Riccione Terme) are famous for its healing mud and waters. Here you can make beauty treatments and rejuvenating massages. We recommend you some beautiful excursions in the Romagna hinterland: . 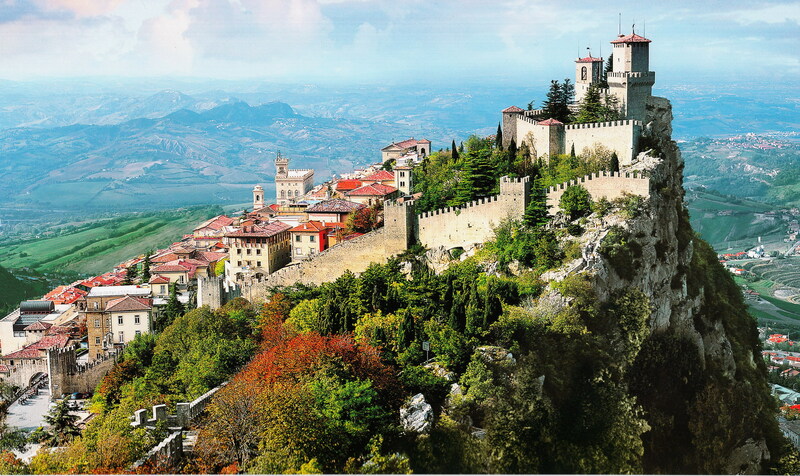 Republic of San Marino: The Ancient Land of Freedom with imposing fortresses and medieval festivals in August (shows and parades in medieval costume and beautiful craft markets). Montefiore: it is one of the “Most Beautiful Villages in Italy”. 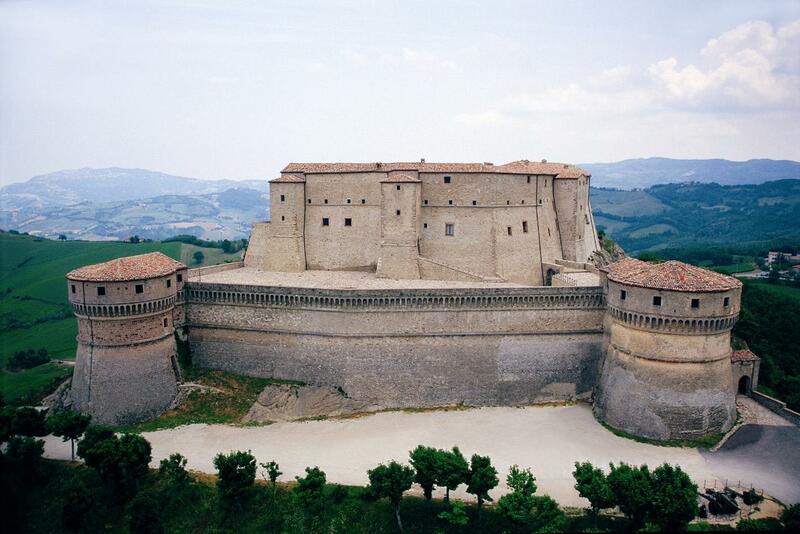 Its majestic fortress was the residence of the Malatesta. Goal of devotion is the “Madonna di Bonora Sanctuary”, where the Virgin image is considered miraculous. 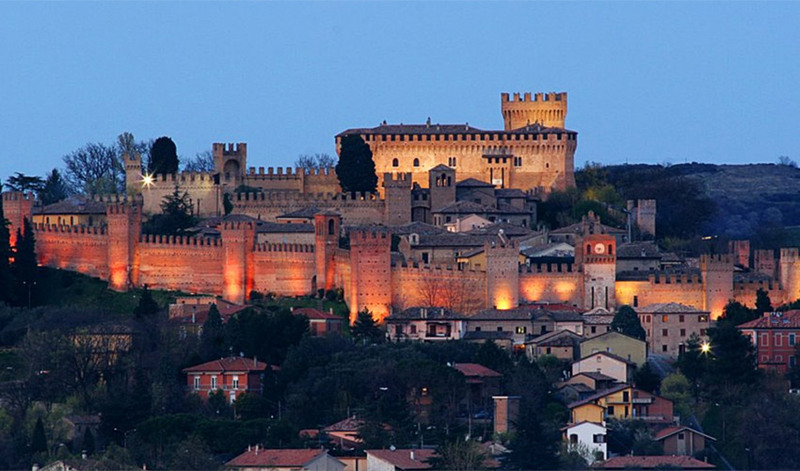 Gradara: Here lies one of the most beautiful and romantic medieval castles in Romagna, a place made famous by the tragedy of Paolo and Francesca. S.Leo: Located on a spur of rock, it was the capital of the Kingdom of Italy. In its inaccessible medieval fortress were imprisoned Felice Orsini and the Count of Cagliostro. Ravenna: The city is inscribed in UNESCO World Heritage site. Do not miss a visit to the “Theodoric Mausoleum” and the beautiful mosaics of Byzantine period in the “Neonian Baptistery” and “Galla Placidia Mausoleum”.